Inventing the Social, edited by Noortje Marres, Michael Guggenheim and Alex Wilkie, showcases recent efforts to develop new ways of knowing society that combine social research with creative practice. 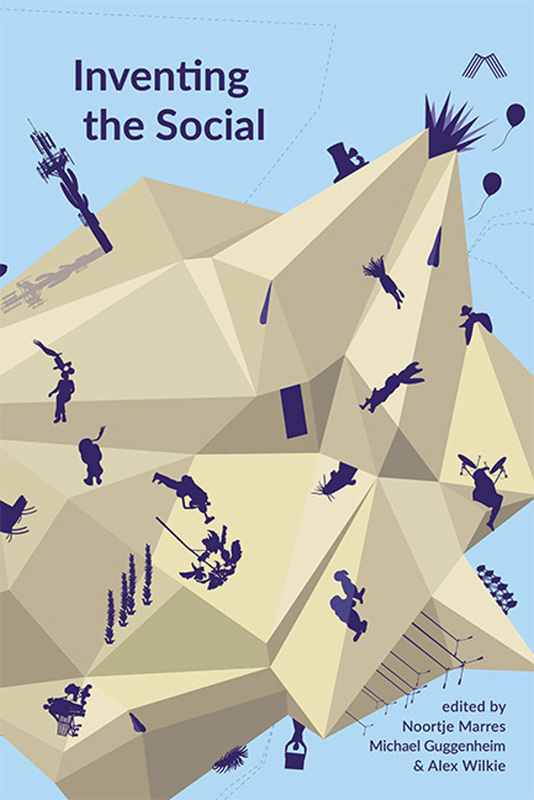 With contributions from leading figures in sociology, architecture, geography, design, anthropology, and digital media, the book provides practical and conceptual pointers on how to move beyond the customary distinctions between knowledge and art, and on how to connect the doing, researching and making of social life in potentially new ways. Presenting concrete projects with a creative approach to researching social life as well as reflections on the wider contexts from which these projects emerge, this collection shows how collaboration across social science, digital media and the arts opens up timely alternatives to narrow, instrumentalist proposals that seek to engineer behaviour and to design community from scratch. To invent the social is to recognise that social life is always already creative in itself and to take this as a starting point for developing different ways of combining representation and intervention in social life.